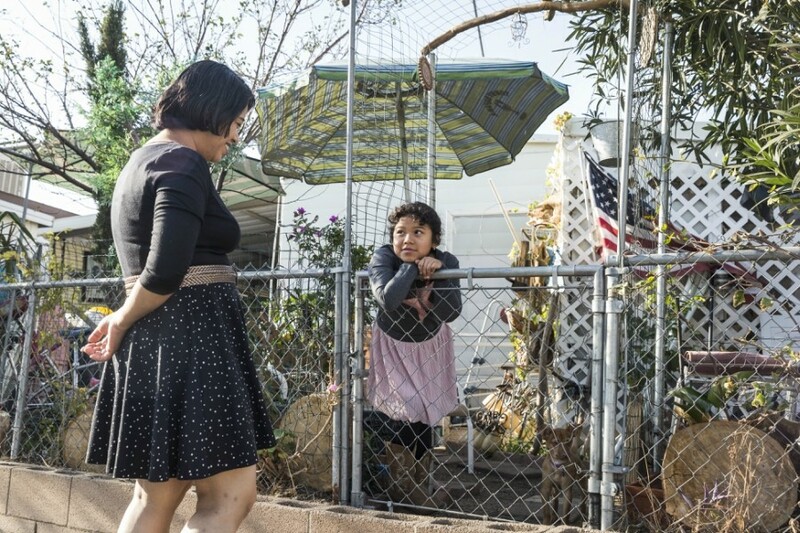 Veronica Lagunas, from El Salvador, and her daughter Angie, 8, at their home in Sylmar, Calif., Dec. 31, 2017. Lagunas is one of nearly 200,000 people from El Salvador who, after being allowed to live in the U.S. for more than a decade, must leave the country because the Trump administration is reportedly ending a humanitarian program, known as Temporary Protected Status. The ending of protection for Salvadorans, Haitians and Nicaraguans leaves fewer than 100,000 people in the program, known as TPS, which was signed into law by President George H.W. Bush in 1990. It provides temporary lawful status and work authorization to people already in the United States, whether they entered legally or not, from countries affected by armed conflict, natural disaster or other strife. The homeland security secretary decides when a country merits the designation and can renew it for 6, 12 or 18 months. The administration is giving Salvadorans in the program until September 2019 to get their affairs in order. After that, they no longer will have permission to stay in the country, forcing them into a wrenching decision.